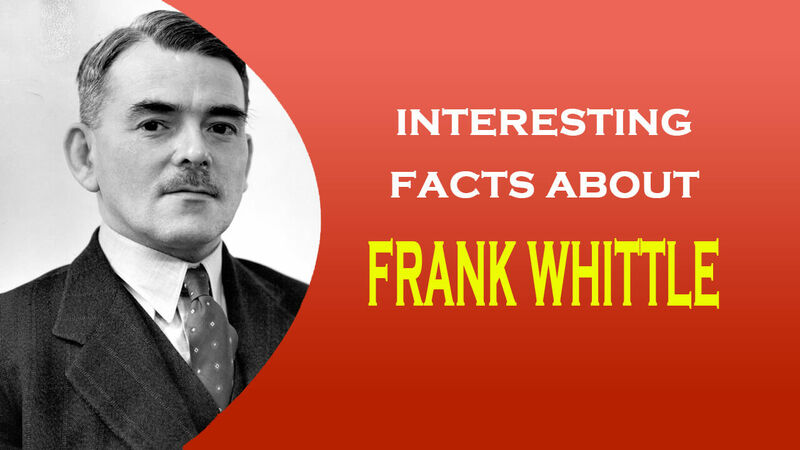 The British Royal Air Force officer and engineer Sir Frank Whittle (1907-1996) invented the turbojet method of aircraft propulsion. 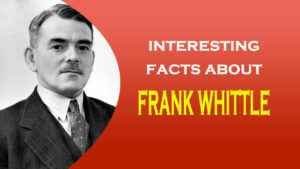 Frank Whittle was born o June 1, 1907, in Coventry, England, the son of a mechanical engineer. He joined the Royal Air Force as an aircraft apprentice at Cranwell in 1923, where he underwent three years of training as an aircraft mechanic. Then he entered the R.A.F. College at Cranwell as an officer cadet. Although he was just 21 years old by the tune he graduated in 1928, Whittle was already focusing on ways to produce higher speeds and greater altitude for the propeller-driven aircraft of the time. After graduating from Cranwell Whittle became a fighter pilot and was then posted to an instructor’s course at the Central Flying School. Here, despite day-to-day responsibilities, pain stakingly designed his first taught. Although sound in theory, Whittle’s invention was in advance of its time in its material demands, and the Air Ministry rejected it. Nevertheless, he sought patent protection for his invention in 1930 and tried to interest manufacturers in production. In 1935, having found no factories interested in his engine, he formed his own company together with two partners named Williams and Tinling. Power Jets, Ltd. opened its doors in 1936 and immediately took out further patents with financial backing from O.T. Folk and Company. After the outbreak of World War II, development of the engine became dependent on Air Ministry finance. However, progress remained slow because of an ambiguous attitude by civil servants toward the unconventional organization of Power Jets, Ltd.
By April, 1941 the Gloster Aircraft Company had completed an experimental airframe, and this was fitted with an early Whittle engine for testing trials. After an airworthy engine had been fitted, the Gloster-Whittle E28/39 made its first test flight on May 15, 1941. Meanwhile, Whittle did not realize that he had a competitor for his invention in Nazi Germany. Hans von Ohain had not only produced a turbojet, but had also flown it in a Heinkel plane as early as 1939. But though his engine was the first to fly, von Ohain did not have the last word. Whittle had been generous with his research, sharing his technology with both the British Rolls Royce and the American General Electric Company. His foresight led to renewed interest in both the design of production engines and the airplane which was to become the Gloster Meteor twin-engine jet fighter. In the U.S. Collaboration on the development of jet engines with the General Electric Company and the Bell Aircraft Corporation began in September, 1941, while Britain was not far behind, putting its Meteor aircraft powered by Rolls Royce “Welland” into service by May, 1944. Jets company and forced it to limit its activities to components research. Angrily, Whittle and several coworkers resigned from the company, following up, two years later, with his retirement from the R.A.F. with the rank of Air I Commodore, an award of 1,00,000 pounds, and a knighthood. 1976 after several mental breakdowns Sir Frank emigrated to the U.S. permanently to marry a retired U.S. Navy nurse named Hazel Hall and to take an appointment as a visiting research professor of Aerospace Engineering in the Division of Engineering and Weapons at the U.S. Naval Academy, in Annapolis, Maryland. He was deep into new research in 1978 when the Federal Aviation Administration decided to honour him by giving the Extraordinary Service Award, the highest accolade the office can bestow. It was a shining moment in an otherwise quite appointment, which ended in September, 1979. In 1987 Smithsonian Institution Press published is autobiography, Whittle, The Truth Story which, in a collaboration with John Golley, gave his personal account of the jet engine’s development and how it transformed aeronautical design.